A fundraising concert for the NW Hospice. Music for the evening will feature Slane’s own traditional Irish Music group The Chapel Street Band, who can have as many as 24 musicians on stage at any given time. They were formed over 5 years ago and perform a wide variety of Irish music and song. 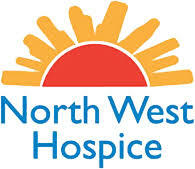 Donations accepted for North West Hospice on the night. Tickets can be booked online and paid for on the night. Payment amount (the donation) is at your discretion.